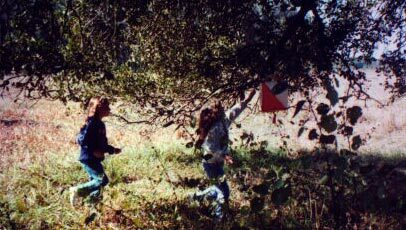 Orienteering originated in Sweden in the early 1900's as a military exercise and came to the U.S. in the 1940's. 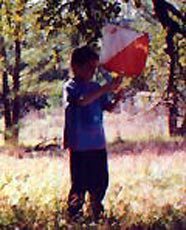 In 1971 it became officially organized in this country when Orienteering USA (previously U.S. Orienteering Federation) was founded. The U.S. Orienteering team regularly participates in international competitions, but orienteering is primarily a recreational activity for the weekend athlete, the fitness hiker, and the puzzle junkie. The map and compass skills used in Orienteering are useful to hunters and backpackers, as well as all those interested in fitness and the outdoors. On any given weekend at a local event you are likely to see couples with small children, college students, and senior citizens. All fit in, have great fun, and get just the right dose of the great outdoors - mixed with a sense of accomplishment that comes from knowing they used their brains - as well as their legs. Orienteering appeals to everyone - from the active family, to the athlete, to the conservationist. But what keeps them coming back is the challenge, which can be both mental and physical. Ask a hundred Orienteers why they do it and you'll get a hundred different answers, but first you'll get a big grin. Some will stress enjoying the outdoors, some say the exercise is fun, some enjoy the mental challenge. But they all use either "fun" or "joy". Come try it; we think you will agree.